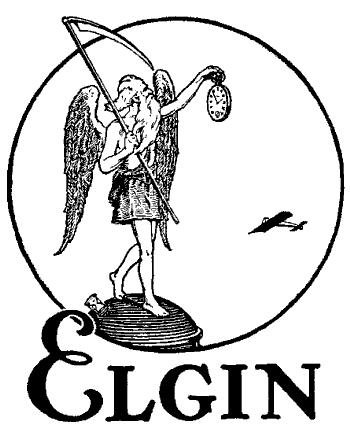 Information on watches from the Elgin National Watch Company, its history and technical details. 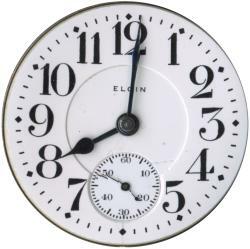 This website is dedicated to helping people find out about their Elgin watches. These watches were symbols of America's emergence from an agricultural country into an industrial power. Watches are one of the few machines that were made 50 or even 150 years ago that, even today, can still be practical to use every day. 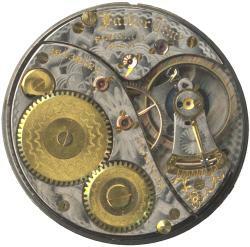 There are also a couple of good message board systems where people get together and chat about watches. I can highly recommend TimeZone Vintage BBS, which discusses mostly vintage wrist watches, but also the occasional antique pocket watches. If you visit this website frequently, you may be interested in some of the things that have changed recently. Sometime in the next week or so, I will be moving my website from one ISP to another. In theory, this should all be transparent to everyone and there should be zero downtime. If things don't go well, you might have problems connecting for a while, but rest assured that I'll try and fix any problems ASAP. The power supply on my webserver went out last night. I bought a new one, it is installed, and things appear to be working ok now. Sorry about the 12hr outage.